Making your own pizza is always a treat. In Geoffrey Smeddle's easy pizza recipe, created for the Sunday Herald, the left-field addition of jerusalem artichoke purée, pine nuts and tangy spring onions makes this a great, simple dinner for friends and family. 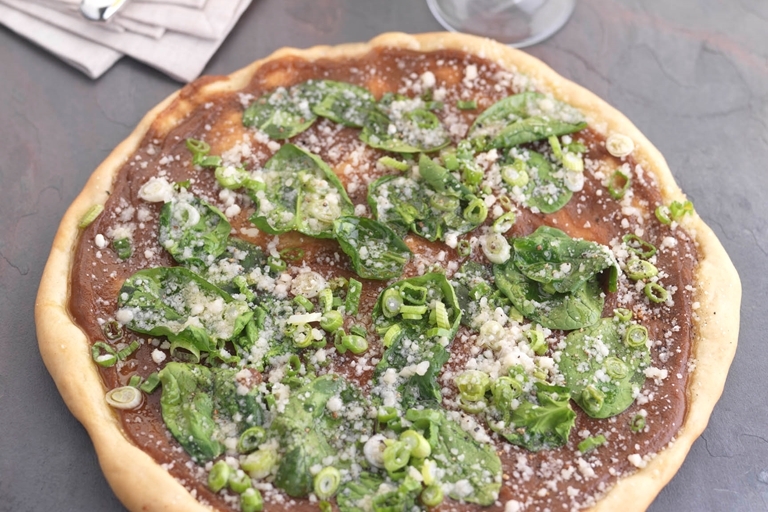 This vegetarian pizza can easily be adapted to use other ingredients.